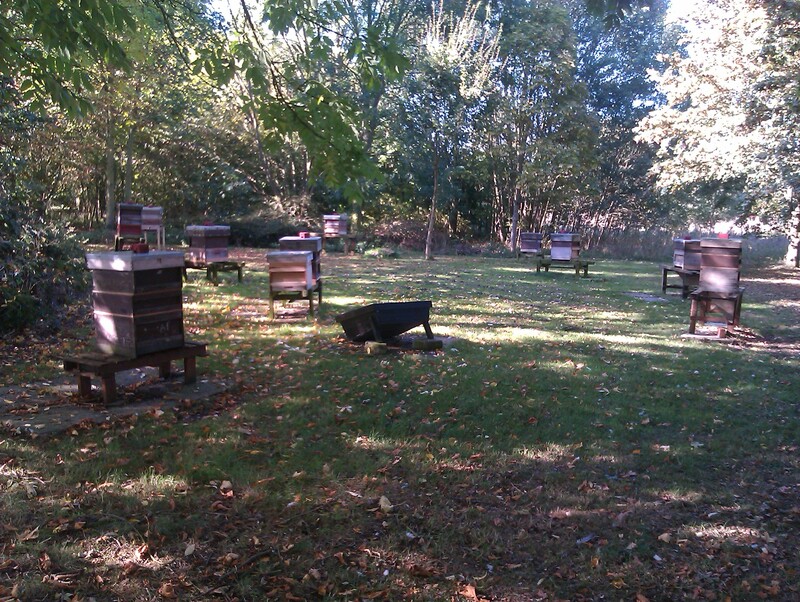 Down at the Apiary yesterday the place looked at its best. We are still feeding some of the hives and the bees are taking full advantage of the excellent weather with all entrances very active. Dissolve 30g Thymol crystals in 150ml of alcohol to make stock solution (surgical spirit works). Use 10ml of this stock solution in 4.5 litres (1gallon) of syrup. The stock solution keeps ok if well sealed, otherwise the alcohol evaporates. It will be interesting to see if this has an effect. There is just one colony job to do before winter and that is unite the two colonies on stand 2, one is weak with lots of drawn brood comb and the other is strong but has not drawn out more than 5 frames of brood, uniting should produce a colony that will se the winter out. A couple of pictures from the Honey Show. There were well over 100 entries! As part of the Apiary closedown yesterday we carried out a full disease inspection on all colonies. A couple showed signs of severe varroa infestation and one had a high Nosema count. The attached picture shows members preparing and examining samples for Nosema. 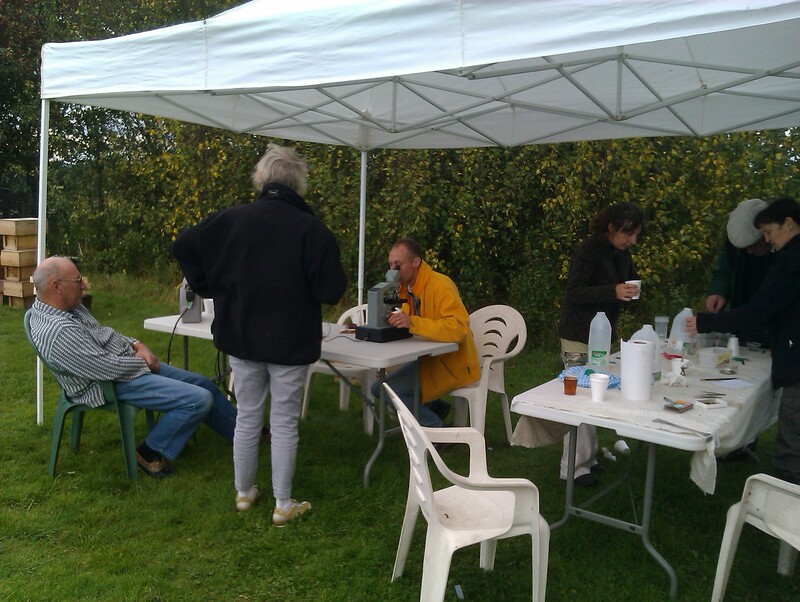 The samples were from the Association Apiary and members Apiaries. The forecast is not good for tomorrow, I will send status updates during the day if the weather affects the planned activities. The Nosema testing will be done under cover so should still proceed no matter what the weather. You are currently browsing the Mid Bucks Beekeepers Association Blog blog archives for September, 2011.